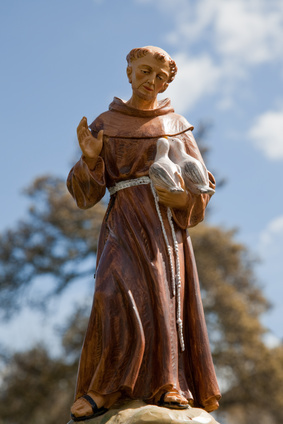 The first Appearance of The Peace Prayer – occurred in France in 1912 – in a small Spiritual Magazine called La Clochette – or The Little Bell – which was published* in Paris by a group founded in 1901 by a French priest. The Prayer bore the Title of “A Beautiful Prayer to Say During the Mass”. The French Prayer was sent to Pope Benedict XV and was printed in 1915. Soon it was followed by publication in Italian – in the Oservatore Romano. In around 1920, the Prayer was printed by a French Franciscan Priest and on the reverse side of the Prayer Card was placed an Image of St. Francis. The card bore the Title Priere pour la Paix, “PRAYER FOR PEACE”. 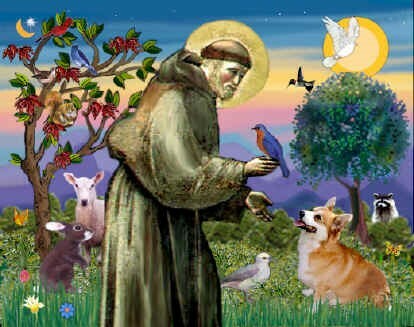 But interestingly, it was not attributed to Saint Francis himself. Between the two World Wars – the Prayer was circulated throughout Europe and finally it was translated into English. The first Translation in English (that we know of) appeared in 1936 in a book, Living Courageously – by Kirby Page. Page attributed the text to St. Francis of Assisi. years the Prayer gained worldwide Popularity with people of All Faiths.